Although it’s an either way offence (so s24A applies) for s24A to be exercised the offence has to have been committed. If the person has not committed the offence (because they have nothing on them) then the arrest is unlawful. Detention is arrest by the definition of depriving the person of their liberty. So I am confused with the term ‘not proper’. A refusal to be searched is not sufficient for arrest. "Detaining" is pretty much synonymous with arresting in this context, certainly in layman's terms. Simple possession is still an either-way offence so the door staff are entitled to arrest anyone they have reasonable grounds for suspecting to be in possession of drugs subject to the other requirements of S24A PACE - what would make a difference was how those reasonable grounds were formed, simply refusing a search on entry is not sufficient to make the leap that they must have drugs about them. Yes, it could be if the landlord has refused permission for you to paint the walls hot pink and you go ahead and do it anyway. Of course it is also a tort for which most landlords would seek a civil redress given the greater chance of clawing some money back, but that's not to say the crime isn't made out. Apply the NDM and make a decision. Need more information to say which course I would take. The court didn’t say it was legal to carry a knife for self defence. The decision was that the judge should have left it for a jury to decide whether the defendant had a reasonable excuse. Had it not taken so long it would have gone back to court and a jury would have decided having heard all of the evidence in that particular case. Quite right. We know about Trump’s nuances because the US is so important to the UK. Doubtful many would know if the leader of some countries was a prime minister, president, monarchy or dictatorship, let alone their name or leadership nuances. some see freedom of speech is good as long as it it in their favour. https://www.casemine.com/judgement/uk/5b46f1ed2c94e0775e7ee40c We can also discuss the following case. 1) You’re requested to attend a night club where the door staff have detained an individual for refusing a drugs search as they have suspicion the individual is carrying drugs on their person. 2) same scenario as above except the door staff have arrested the individual for Suspicion of possession with intent to supply a controlled substance. Keep in mind, it’s not proper for a member of the public or DS to detain, they can only make an arrest for an indictable offence. How would you act? Would you question scenario 1? I had to check that this wasn’t an April fools article. On a serious note, I am becoming more and more concerned about policing. Some of the decisions from these bodies are just ridiculous. It actually makes a mockery of the investigation process really. You need good reason to be in possession of any bladed article with a fixed or folding but locking blade in a public place, regardless of the length of the blade. A folding blade that is longer than 3 inches is also a bladed article for the purposes of this offence, regardless of whether it locks or not. If there is no good reason (or lawful authority), an offence is committed. David is 24 year old male, a member of the public called the police stating that Dave was acting suspicious on a public street corner. Police attend and Dave was stopped and searched, located on Dave's person was a 2 and half inch kitchen knife. He didn't have a reasonable excuse or lawful reason for possessing it appear from "he found it on the floor" The knife was only in their pocket it wasnt being used offensively... The question is, is Dave committing an offence of carrying a bladed article? Does the law only seems to make exception to a folding pocket knife 3 inches or under? So is any sized kitchen knife an offence to carry in public? Who would arrest and who would let him go? From what I’ve read in the article I cannot for the life of me see any reason why the discharge of taser was not appropriate. I'm surprised. Theoretically decorating is Criminal Damage then unless you're doing it exactly the same as before? You are so wrong. Deposit is for accidental damage. This was a pet hate of mine when I worked in a holiday area where holiday accommodation was let longer term over the winter - usually to our ne’er do well regular customers. I was not popular when I insisted officers dealt with criminal damage as criminal damage instead of the way you advocate. One decided to prove me wrong by putting a case to CPS for charge expecting it to be kicked back as a ‘civil debt’. CPS ran it and the offender was convicted and had to pay compensation. Officers then realised that was a way of dealing with those who often got away with their other crimes. 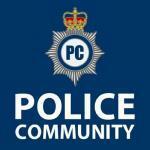 PIRC - IOPC same difference, they are not very good at understanding the realities of policing. Yeah there is. You don't need to pay for fair wear and tear, but you do have to pay for damage you cause over and above that. It isn't a criminal matter. The Tenant has an agreement relating to damage in place. The Landlord has a security deposit, and the right to bill the tenant for repairs if required. If the visitor has damaged something then I'd go CrimDam, but not the tenant. There is a distinction between fair wear and tear or accidental damage which is arbitrated by the tenancy agreement, and criminal damage caused deliberately or recklessly. No tenancy agreement gives a tenant any kind of right to damage the fabric of the building in this manner. NOOOOOOOOOO!!!! Dave and Tracy’s landlord comes around and tells Dave he has to pay for the damage. Dave hits the landlord around the head with the shovel. Is that a landlord/tenant civil dispute issue as well? Initially you have to give the tenant the opportunity to repair any damage. IIRC it is S11 of the Landlord and Tenant Act. It's been a while since I had to deal with this stuff though. Effectively this is no different to the old jointly-owned property exam question - he has destroyed or damaged property belonging to another without lawful excuse, so the offence is complete; that he has a proprietary right to the property as a tenant does not mean he can damage it regardless of the rights of the other tenant(s) and the owner. Depending on his intention when throwing the spade he might also be using violence to secure entry contrary to S6 CLA 1977, although that isn't a recordable crime. In practice some tolerance is used about damage caused by tenants, but they do not have carte blanche to wreck a house and that they're a tenant does not automatically make damage caused deliberately or recklessly a civil matter. The tenant caused the damaged. I'd suggest it is a civil issue TBH.